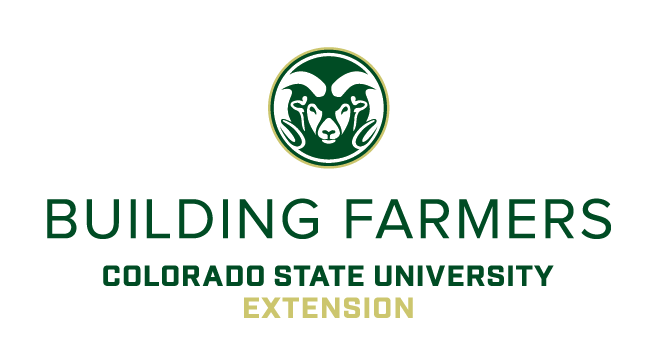 Colorado Building Farmers offers two levels of classroom learning: Principles of Business Planning and Management and Advanced Classes. The Principles of Business Planning and Management program is a series of evening classes designed to help New Farmers and Ranchers explore farming as a business and provide Intermediate and Experienced Farmers and Ranchers with tools and ideas to refine and enhance their business management, production, and marketing skills. Perform SWOT analysis to identify potential marketing niche, customer base, location, etc. For more information about any of the above programs, contact us.